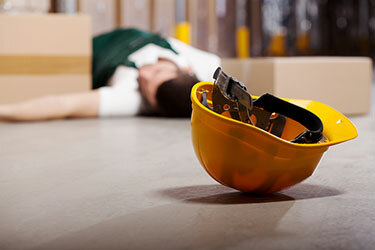 Falling accidents are one of the most prominent causes of serious (if not fatal) work injuries, and they reportedly result in injuries that cost employers more than $13 billion annually. In fact, in the construction industry alone, falls from ladders account for about 1 in every 3 fall-related deaths. Given, however, that falls can be prevented with the right safety precautions, below are some ladder safety tips (from OSHA) that can help workers minimize their risk of falling accidents and injuries. Understand when to use a ladder versus some other piece of equipment. For instance, if you have to hold heavy items while climbing, climb to higher spots and/or will be working in a high location for some time, the ladder is likely not the safest or best piece of equipment to use. Use the right ladder for the job. Specifically, make sure to use a ladder that is high enough and that won’t require you to stand on the top rung in order to reach the location you need to get to. Make sure that ladders extend at least 3 feet above the landing point to ensure that there is a sufficient safe handhold. Secure the base of ladder before starting to climb up it. Never put the ladder on uneven ground or an uneven surface. Wear the right shoes, namely non-slip, flat shoes. Fully extend the ladder before climbing up it. Always maintain three points of contact with the ladder. These points of contact should include either two hands and one foot or two feet and one hand. Don’t carry tools while climbing up a ladder, as this will prevent you from being able to establish and maintain three points of contact with it as you climb. Don’t use ladders near doorways. If you do need to place a ladder near a door, however, make sure the door is locked before you climb up the ladder. Don’t lean away from the ladder as you work. If you find yourself starting to need to lean, climb down and reposition the ladder. This will prevent you from disturbing the balance. Don’t use ladders that are bent, missing steps and/or lacking a spreader bar. These ladders will be far more likely to malfunction during use. What do you think about these ladder safety tips? Do you have others that you live by? Share your comments with us on Facebook and Google+. Have you been injured at work? If so, Denver Workers Compensation Lawyer Jennifer Bisset wants you to know that she is here to aggressively advocate your rights and help you obtain the benefits you need and deserve. All of the experienced legal professionals at the Bisset Law Firm are dedicated to providing each of our clients with the highest quality legal representation, keeping each of our clients informed and in the loop at every stage of their cases and, ultimately, helping them obtain the best possible results for their cases. Contact Denver Workers’ Compensation Lawyer Jennifer Bisset by calling (303) 894-8900 to learn more about your rights and receive a professional evaluation of your case. You can also email our firm using the contact form on the right side of this page. From her office based in Denver, Jennifer Bisset provides superior legal services to injured people throughout Denver County and the state of Colorado.